Anthony D. So, MD, MPA, is Professor of the Practice and Founding Director of the Innovation+Design Enabling Access (IDEA) Initiative. Based in Health Systems in the Department of International Health, the IDEA Initiative will foster innovation and design of new technologies for greater health access and impact. He also serves as thematic lead of the Transformative Technologies and Institutions arm of the Johns Hopkins Alliance for a Healthier World. As Director of the Strategic Policy Program of ReAct--Action on Antibiotic Resistance, he works with a global network dedicated to meeting the challenge of antimicrobial resistance, with regional nodes in Africa, Latin America, Asia and Europe. Throughout his career, he has studied a range of issues across globalization and health, from tobacco control in low- and middle- income countries to innovation and access to health technologies and food systems. Previously, Dr. So served as Professor of the Practice of Public Policy at Duke University’s Sanford School of Public Policy and served as Director of the Duke Program on Global Health and Technology Access, during which he served on the Lancet Infectious Diseases Commission on Antibiotic Resistance, the Institute of Medicine’s Committee on Accelerating Rare Diseases Research and Orphan Product Development, and the National Academy of Science’s Committee on the Illicit Tobacco Market; chaired a WHO expert working group on fostering innovation to combat antimicrobial resistance; and was part of the Antibiotic Resistance Working Group of the U.S. President’s Council of Advisors in Science and Technology. Before this, he served as an associate director for the Rockefeller Foundation’s Health Equity Program, where he launched initiatives on tobacco control in countries in Southeast Asia and shaped the foundation’s work on access to medicines policy in developing countries, including the strategy to lower the prices of patented HIV/AIDS drugs. His grant-making helped to seed the Southeast Asia Tobacco Control Alliance, the WHO-Health Action International Medicine Prices Project, the People’s Health Movement and the first World Report on Violence and Health. Prior to joining the Foundation, Dr. So served as Senior Advisor to the Administrator at the Agency for Health Care Policy and Research (AHCPR) - U.S. Department of Health and Human Services (DHHS), where he received the Secretary’s Distinguished Service Award for shepherding the AHCPR Liaison Office For Quality and its efforts in support of the President's Advisory Commission on Consumer Protection and Quality in the Health Care Industry and the Consumer Bill of Rights and Responsibilities. From 1995-96, he had served as Secretary Donna Shalala’s White House Fellow, when he launched the Department’s first electronic public service announcement (E-PSA) featuring the Smoke-Free Kids and Soccer campaign. He received his BA in philosophy and biomedical sciences and his MD. He earned his MPA from Princeton University as a Woodrow Wilson Scholar. Dr. So completed his residency in internal medicine at the Hospital of the University of Pennsylvania and his fellowship in the Robert Wood Johnson Clinical Scholars Program at the University of California, San Francisco/ Stanford. More recently, his work has been supported under a Robert Wood Johnson Foundation Investigator Award in Health Policy Research. 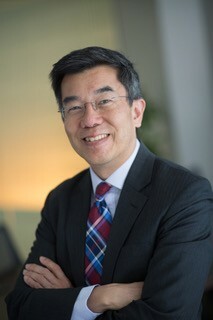 He currently serves on the Boards of Public Citizen and Community Catalyst, the Advisory Boards of the Universities Allied for Essential Medicines and of RhEACH (Rheumatic Heart Disease Education, Advocacy, Communication, and Hope) as well as the Advisory Council of Princeton University’s Center for Health and Well-Being. He recently has been a member of the Expert Advisory Group of the UN Secretary-General’s High-Level Panel on Access to Medicines and of the Technical Working Group of the Equitable Access Initiative (convened by Global Fund to Fight AIDS, Tuberculosis and Malaria and other multilateral institutions), and a member of the Expert Commission on Addressing the Livestock Contribution to the Antibiotic Resistance Crisis (convened by Antibiotic Resistance Action Center, Milken Institute School of Public Health and Natural Resources Defense Council). So AD, Sachs R. Making Intellectual Property Work for Global Health. Harvard International Law Journal. February 2012; 53: 106-143. So AD, Sampat BN, Rai AK, Cook-Deegan R, Reichman J, Weissman R, Kapczynski A. Is Bayh-Dole Good for Developing Countries? Lessons from the U.S. Experience. PLoS Biology. 2008. So AD, Ruiz-Esparza Q, Gupta N, Cars O. 3Rs for Innovating Conserving Novel Antibiotics: Sharing Resources, Risks and Rewards. British Medical Journal. 2012; 344:e1782. So AD, Bigdeli M, Tomson G, Woodhouse W, Ombaka E, Peralta AQ. Part 5: The access and excess dilemma. “Antibiotic resistance—the need for global solutions,” The Lancet Infectious Diseases Commission 2013 Dec; 13(12): 1057-98. So AD, Shah TA, Roach S, Ling Chee Y., and Nachman KE. An Integrated Systems Approach is Needed to Ensure the Sustainability of Antibiotic Effectiveness for Both Humans and Animals. J Law Med Ethics 43 Suppl 3, 38–45. June 2015.